NEW Penhaligon's English Fern EDT Spray 100ml / 3.4 fl.oz. NEW Penhaligon's Juniper Sling EDT Spray 50ml / 1.7 fl.oz. NEW Penhaligon's Castile EDT Spray 100ml / 3.4 fl.oz. Penhaligon's understands the emotive power of scent. High, clear and instantly uplifting. Set of four 5 ml ladies fragrances. penhaligons empressa 100ml Eau De Parfum. Sprayed a handful of times. Unwanted valentines present (2019). Still has box. RRP £173. Fragrance notes in image. 5 x 5ml Miniatures. Discovery Collection. 100% Authentic. Lothair : From a fresh opening like a Captain’s tipple of gin-grapefruit tonic, it settles into a fig and black-tea signature. Oud de Nil : A crisp morning breeze carries the scent of luminous grapefruit, steeped in solar jasmine inside this watery Oud. NEW Penhaligon's Equinox Bloom EDP 50ml / 1.7 fl.oz. NEW Penhaligon's Equinox Bloom EDP Spray 50ml / 1.7 fl.oz. NEW Penhaligon's Bayolea EDT Spray 50ml / 1.7 fl.oz. The scent ends with a masculine base of sandalwood, musk, cedar, moss, amber and patchouli. NEW Penhaligon's LP No.9 for Men EDT Spray 100ml / 3.4 fl.oz. The fresh top notes of mandarin, bergamot and rosewood allow themselves to give way to the unusual floral and spiced heart. NEW Penhaligon's Lily of the Valley EDT Spray 50ml / 1.7 fl.oz. A fragrance which is sweet, fresh and graceful. Considered by industry experts to be one of the finest lily of the valley fragrances, it is a deceptively complex interpretation of the delicate flower. Castile, created in 1998 is a classic citrus shot mixed with the intoxicating thrill of neroli. The citrus notes flood the senses allowing it to be uplifting yet soothing. Top Notes: Neroli And Petitgrain Middle Notes: Bergamot, Orange Blossom And Rose Base Notes: Precious Woods And Musk. Not for sale outside of the uk. HERE I HAVE THE STUNNING PENHALIGONS PORTRAITS CLANDESTINE CLARA. PORTRAITS PENHALIGONS CLANDESTINE CLARA. UNFORGIVABLE SEAN JEAN EDT. TOM FORD COSTA AZZURRA. TOM FORD JASMIN ROUGE. TOM FORD TOBACCO VANILLE. NEW Penhaligon's Anthology Zizonia EDT Spray 100ml / 3.4 fl.oz. Originally created in 1930 and reintroduced as part of Penhaligon's Anthology Collection. Zizonia is a nomadic and mysterious oriental fragrance an odyssey of burnt spices, patchouli and pepper, leading to a lush oasis of sweet orange, ginger and vetiver. 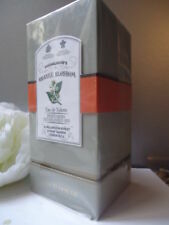 STUNNING LARGE 100Ml SEALED PENHALIGONS BELGRAVIA CHYPRE EAU DE PARFUM. Penhaligon's understands the emotive power of scent. Created in 2002, Artemisia is both floral and fruity with a beautifully sensual powdery dry down. All this softly unfolds with great subtlety surrounded with layers of honeyed vanilla, warm spices, a touch of amber and a hint of musk. NEW Penhaligon's Bayolea Aftershave Splash 100ml / 3.4 fl.oz. 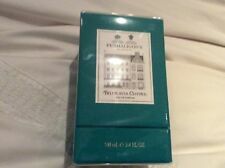 NEW Penhaligon's Blasted Heath EDP Spray 50ml / 1.7 fl.oz. Fresh with crunchy green leaves. Refined with the surprising transparent woodiness of Clearwood™. An assertive masculine character, strengthened by an authoritative woody signature. The warmth of patchouli and Alaska cedarwood blends into rough accents of gaiacwood and the earthy elegance of vetiver. NEW Penhaligon's Blasted Bloom EDP Spray 50ml / 1.7 fl.oz. Wild floral heart of eglantine rose and hawthorn is tinted with pink pepper. A whisper of Clearwood™ is enveloped in balmy cedarwood, on a smooth bed of moss and musks. Penhaligon's. English Fern Eau De Toilette Spray 100ml. Base note unfold earthy twist of patchouli oakmoss & sandalwood. NEW Penhaligon's Ellenisia EDP Spray 50ml / 1.7 fl.oz. As the green shock of the violet and mandarin settle you can close your eyes and just picture the bouquets of gardenia, jasmine and tuberose a tumble of scented petals. This fragrance is elegant yet utterly magical. Penhaligon's. Luna Eau De Toilette Spray (Unisex) 100ml. This unisex fragrance was released in 2016. A fresh floral fragrance that like romance in a bottle. Fresh tomato, mint and raspberry leaves are combined with rich florals, warm woods and potent musks to create this masterpiece of contrasting scents. Beautifully floral scent. Only sprayed a few times. Retails for £100 new. Selling because it was a gift but does not suit me. Great for those who love Stella McCartney perfumes. Peoneve Eau De Parfum Spray 100ml. Penhaligon's. This item is coming from our US warehouse. Top note is violet leaf. Perfect for all occasions. PENHALIGON'S. Marke Penhaligon's. Serie Douro. Eau de Cologne. Produktart Eau de Cologne. Maßeinheit 100 ml. A collection of goods is excluded. Serie Bayolea. PENHALIGON'S. Marke Penhaligon's. Toilet water. Produktart Eau De Toilette. Maßeinheit 100 ml. A collection of goods is excluded. Without box Penhaligon's presents the Ruthless Countess Dorothea, a fragrance inspired by a most ferocious matriarch, known for her sharp mind, even sharper wit and a secret fondness for the company of young men and scones! A fragrance possessing impeccable manners, it is both refined and thoroughly reassuring. NEW Penhaligon's Anthology Eau Sans Pareil EDT Spray 100ml / 3.4 fl.oz. Opening with a giddy rush of sparkling fruits and sensual white flowers, Eau Sans Pareil is toned down with sweet woods of elegant oakmoss. A scent to be described as powdery, wistful and romantic. Penhaligons SOHAN Portraits Luxury Perfume 75ml RRP £188. I have only used this a few times, bottle is pretty much full - comes as seen on photos, in original box. Purchased in November 2018 from the Westfield boutique. Selling as my partner finds it too strong and I don’t go out without him so don’t get to use it as much as I would like to. Fragrance Type Eau de Parfum. Formulation Spray. Size 2.5 oz. NEW Penhaligon's Vaara EDP Spray 50ml / 1.7 fl.oz. PENHALIGON'S. Marke Penhaligon's. IRIS PRIMA. Serie Iris Prima. Produktart Eau De Parfum. Maßeinheit 100 ml. San Marino and Monaco 5,95 EUR. A gourmand base of brown sugar, black cherry and amber add sensuality to the scent. Apply liberally and drink in. For enigmatic boys and girls. NEW Penhaligon's No.33 EDC Spray 50ml / 1.7 fl.oz. Incredibly smooth, the heart is enriched by warming pepper, ginger and cardamom and fresh, rosy geranium. Tobacco, cedar and vetiver add a dry smokiness, balanced by the restrained sweetness of tonka, amber and vanilla. NEW Penhaligon's Lily of the Valley EDT Spray 100ml / 3.4 fl.oz. NEW Penhaligon's LP No.9 for Ladies EDT Spray 100ml / 3.4 fl.oz. The heart reveals the open sweetness of carnation wrapped in rich sensual base notes of cedar, spice and vanilla. The final effect is gorgeously soft and romantic, strange and beguiling. NEW Penhaligon's Lavandula EDP Spray 100ml / 3.4 fl.oz.